For charts and maps visualizing the global dataset, visit our project homepage on China's Global Development Footprint. This dataset captures the known universe of officially-financed Chinese projects in 5 regions of the world from 2000-2014 (including Africa, the Middle East, Asia and the Pacific, Latin America and the Caribbean, and Central and Eastern Europe). 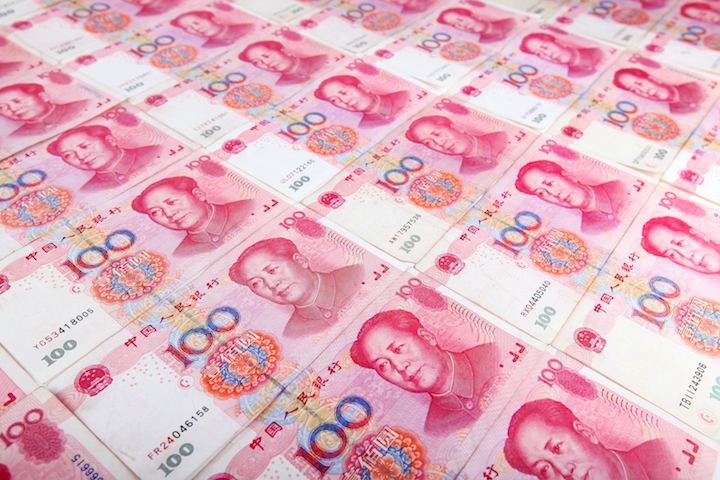 It includes concessional and non-concessional sources of funding from Chinese government institutions (including central, state or local government institutions) with development, commercial, or representational intent. 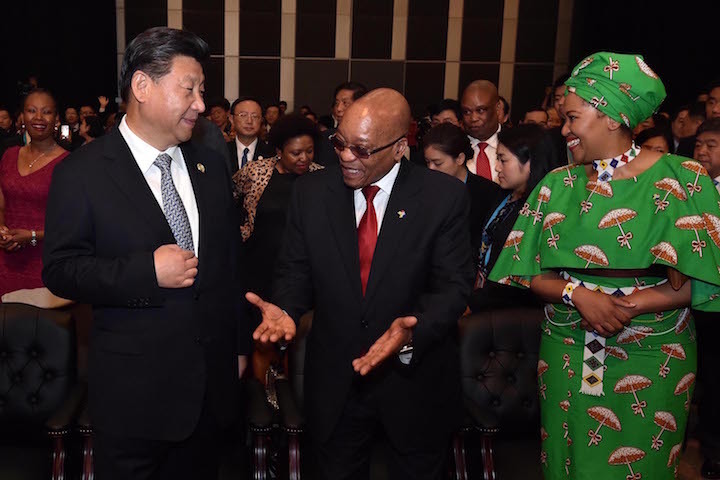 More specifically, it captures (a) highly concessional, Chinese development projects that meet the OECD’s criteria for Official Development Assistance (ODA); and (b) officially-financed Chinese projects that lack development intent or are provided with higher interest rates and lower grant elements (i.e. projects that fall within the OECD’s criteria for “Other Official Flows”, or OOF). Chinese ODA represents “Chinese aid” in the strictest sense of the term, but Chinese official finance (ODA and Other Official Flows) is sometimes used as a broader definition of aid. 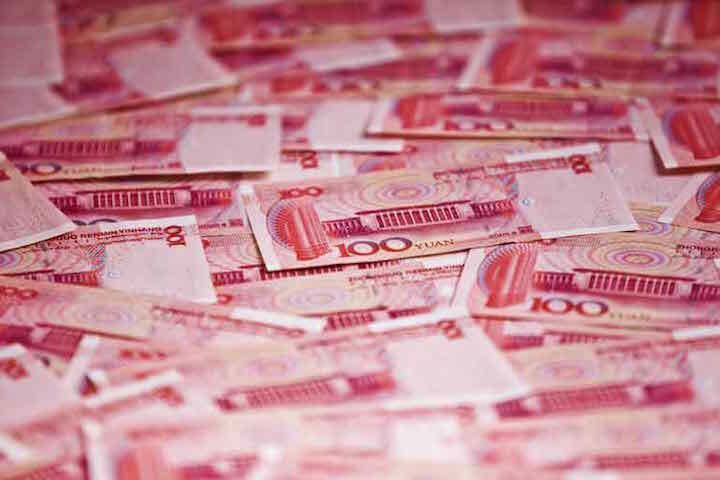 AidData’s dataset allows users to disaggregate Chinese official finance into its constituent parts and determine if they wish to use a narrow or broad definition of aid. This dataset builds off of previous work to track Chinese Official Finance in Africa (versions 1.0, 1.1, 1.1.1, and 1.2). 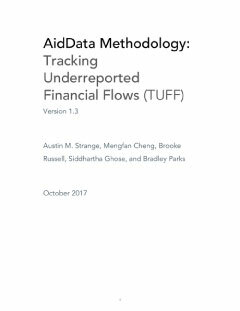 TUFF—'Tracking Underreported Financial Flows'—is a rigorous, replicable methodology that triangulates open-source information to systematically create project-level data detailing official finance originating from opaque donors and lenders. For high-level guidelines on the TUFF methodology, please see AidData's TUFF Methodology, Version 1.3 document. 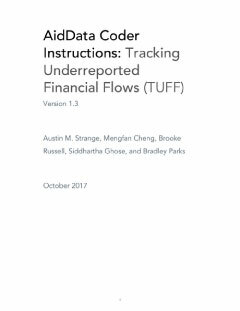 For specific, step-by-step instructions used by AidData researchers to arbitrate project records, please see the AidData TUFF Coder Instructions, Version 1.3 document. Funding: This research was funded through generous support from the John D. and Catherine T. MacArthur Foundation, the William and Flora Hewlett Foundation, Humanity United, the Academic Research Fund of Singapore’s Ministry of Education, and the German Research Foundation (DFG) for ”The Economics of Emerging Donors in Development Cooperation” project at Heidelberg University (DR 640/5-1 and FU 997/1-1).